Experienced, determined, knowledgeable, studious, aggressive, and spirited are adjectives that describe Chris Ariano. Whether you are facing DWI charges, drug charges, or allegations of a violent crime, Tucson criminal defense attorney Christopher Ariano will make the difference for you. His dynamism in the courtroom is surpassed only by his dedication to his clients. He is recognized in the legal community by his will to win and his sterling reputation as an honest attorney. If you are facing a misdemeanor or a felony charge in Tucson, AZ, contact Christopher Ariano today to schedule a free consultation. There are many criminal defense attorneys in the Tucson market. What makes any one of them stand out? Each lawyer claims their representation will make a difference for you, but few of them actually mean it. Christopher Ariano is one who means what he says. Attorney Ariano distinguishes himself from other criminal defense lawyer in Tucson by his commitment to his clients, his work ethic, and his insatiable desire to help people in need. Chris’ commitment to his clients is evident in the way in which he handles each case. Christopher will not pass off your case to a junior attorney, paralegal, or secretary to handle until it is time to go to court. Christopher handles each and every case himself. His clients have hired him to do a job, and he does the job for which he was hired. 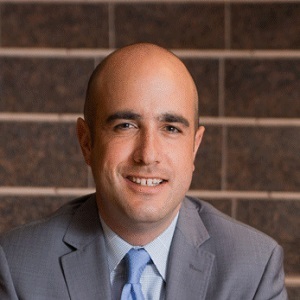 A critical component to the manner in which Attorney Ariano handles his clients’ cases is his personalized attention to opening the lines of communication between attorney and client. Without clear, open, and honest communication between lawyer and client, the client might be left with unreasonable or inaccurate impressions as to how the case might go and what consequences he or she could face. Furthermore, open and honest communication is the key to trust. Without trust between lawyer and client, the client might not understand what is happening and why. That can lead to second-guessing. Facing criminal charges can cause great upset and uncertainty in a person’s life. A person facing criminal charges must confront the prospect of going to jail or prison, paying large fines, being on probation or parole. A criminal defendant must face the collateral consequences of pleading or being found guilty. There could be immigration consequences, job loss, separation from family, and license loss. As a result, open and frank communication will help Attorney Ariano develop a defense strategy that is right for you and your family. Chris’ clients have come to rely on his competitive spirit in defending them against the might of the government. Chris developed that competitive drive in high school as a member of his high school’s championship golf team and from watching his beloved Chicago Bears. After high school, Chris attended the prestigious Leeds School of Business at the University of Colorado. From there, Chris went on to study law at the renown Detriot Mercy School of Law where he received numerous academic accolades. Additionally, Chris was fortunate to have the opportunity to intern for the Honorable Mark Randon, magistrate judge for the United States District Court for the Eastern District of Michigan. After law school, Chris pursued the practice of law in Arizona.